If you want to make your WordPress website faster, as well as more secure and robust, then using a content delivery network (CDN) is one option available to you. In this article, we’ll start with a brief introduction to this type of service, including some of the available benefits, before looking at the 11 best CDN services for WordPress users in 2016. If you’re seeking a way to reduce loading times and reap all of the benefits associated with having a faster website, then you’ve come to the right place. Unlike your regular web host, the best CDN services will have servers located all over the globe, instead of just in one or two data centers. As your static files are duplicated to all of these servers, no matter where your website visitors are located, there is likely to be a server relatively close by. If you choose to use a CDN, you’ll still need a web host to store your WordPress database and other non-static files. However, these two different services will work together in tandem. In fact, as complicated as the idea of distributing your website files to a network of multiple servers sounds, a good CDN service will work in the background, with little input required on your part. The main benefit of using a CDN is that the speed of your website will increase. Faster loading times not only help improve the overall user experience, but they can also increase conversion rates and reduce bounce rates. As Google uses site speed to determine where to rank a website in their search engine results, there are SEO benefits to be had from improving the loading times of your site with a CDN. As the static files that are hosted by a CDN will be duplicated and stored in multiple datacenters around the world, an extra level of security is provided too. If one server or even an entire data center becomes unavailable, there are plenty of others in the network to ensure uninterrupted service. In short, if you want more traffic, happier users, and better conversion rates, you should seriously consider speeding up your WordPress website with a CDN. Here are 11 CDN services to explore if you want to improve the performance of your WordPress website. Most of these options feature easy integration with WordPress, flexible pricing plans, large networks of servers, and free trials. MaxCDN market themselves as the experts in content delivery networks and they’re certainly one of the most well-known names in the field. If your website has a global audience, you’ll appreciate the large number of server locations that are distributed across the US, South America Europe, Asia, and Australia. Through the well-designed customer dashboard, you get a good amount of control over how your website content is hosted by the MaxCDN service. This includes content provision and purge controls, usage reports, and content caching settings. Like MaxCDN, their network of servers spans the four main regions of the globe, helping to ensure the least amount of hops between your content and your end users. 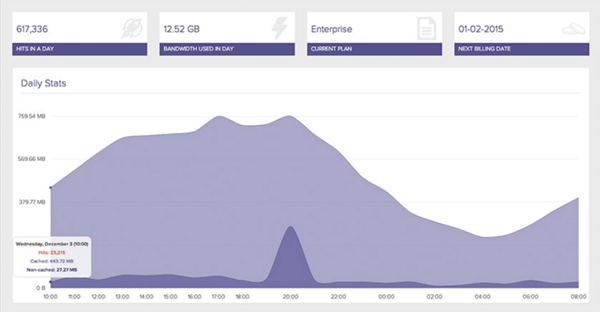 Thanks to the real-time reporting, you can instantly see how the service is performing and how much data you are using. Although the pricing is very competitive, with a free 1-year starter tier, getting started with Amazon CloudFront is a little more detailed than some of the other options listed here. Thankfully, you can follow our guide to installing a CDN on your WordPress website using Amazon CloudFront to simplify the process. 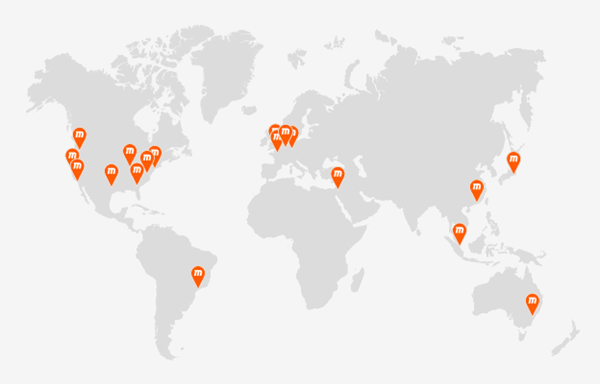 CloudFlare has servers in 76 data centers that are dotted around the world. Like the best CDN services for WordPress websites, your media files and other static content is automatically pushed to the CloudFlare network, while your visitors are served the dynamic content by your web host in a seamless combination of the two. With a free entry-level plan and an easy-to-use WordPress plugin, if you want to start using a CDN by following the path of least resistance, CloudFlare is hard to beat. Microsoft Azure CDN is a global delivery network for your high-bandwidth content. They offer multiple pricing plans to ensure you only pay for what you need. The free trial will help you get started. This CDN integrates deeply with other services from Azure, including their Storage, Web Apps, and Media Services products. Therefore, if you’re looking for a highly scalable and extendable solution for your website or another online presence, this could be it. With their pay-as-you-go and high volume pricing plans, CND77 aims to cater to both small to medium-sized website owners and larger, high traffic online properties. To help you monitor performance and keep on top of costs, CND77 offers a good set of reporting and analytics tools. CDN77 also integrates nicely with some of the leading WordPress caching plugins, including W3 Total Cache and WP Super Cache. Therefore, if you are using one of these popular tools, CDN77 will fit right into your configuration. If you don’t need a full CDN service but would like a way to speed up your website by offloading the delivery of your image files, then the free Photon service is a good option. Photon is used on the WordPress.com websites that are managed by Automattic. However, self-hosted WordPress website owners also have the option of using of this service through the Jetpack plugin. Once you’ve activated Photon on your website, any images used in your posts and pages will automatically be sent to the global WordPress.com cloud. This takes a load off your web host and should improve the loading times experienced by your visitors. One limitation of Photon is that your images are cached “forever.” Therefore, if you refresh an image, you’ll need to change the filename to ensure the new version is displayed to your visitors. Thanks to their custom WordPress plugin, enabling the CDNify service on your website is very straightforward. Once you’ve signed up, you can start enjoying the benefits of having your static website content served to your visitors from locations across three global regions. More servers are reportedly in the pipeline for Africa, Russia, and South America. Fastly aims to help your website perform better and become more secure. This is one of the few CDN services that provides a demo of their reporting dashboard. Through the demo, you can see how requests and latency are monitored. CDN is just one of the security and performance services offered by Incapsula, and with a free entry-level pricing plan for personal blogs, it could be an option that matches your budget. Access to support is limited with the free plan. However, by upgrading to the next level, priced at $59, you’ll be able to email the help desk with any questions you have. CDN.net: the world’s largest CDN? CDN.net describes itself as the Uber of CDN, but don’t let that put you off! Reportedly, CDN.net is the world’s largest CDN. If you prefer to put your eggs in a global basket with locations that span 88 cities, 112 countries, and 179 global locations, CDN.net could be for you. CDN.net has an interesting approach to pricing, with a single price across all tiers. Choosing a plan involves trading between server locations and data transfer allowances to find the best option for your website. With an outdated blog, inactive social media accounts, and broken links on their website, it might be wise to proceed with caution when it comes to CDN.net. The best content delivery network services store your files on optimized servers, while shortening the distance those files have to travel to reach your visitors. This can result in faster loading times, improved search engine rankings, and a better user experience. There are a number of key factors to consider when it comes to choosing the right CDN for your website. One is its server locations. All of the best CDN services cover the main regions, such as the US and Europe. However, if your audience is a bit more diverse, then you should definitely spend some time investigating your visitor locations and then seek out a CDN that offers the right coverage. Simplified WordPress integration, either through an in-house plugin or one of the leading caching tools will make your life easier, so be sure to find out how WordPress users are served. Pricing plans can be confusing. Some services offer pay-as-you-go pricing, while others offer fixed rate plans. Depending on your server location requirements, you might find yourself paying more than the standard rate. Then there are overage charges to consider. A CDN isn’t a magic bullet. You’ll still want to consider the other options for speeding up your website, such as using a WordPress caching plugin, choosing a fast web host, and optimizing your images. Still, making use of a CDN has never been more straightforward and affordable. Now is a great time to speed up your WordPress website by distributing your static files throughout a global network of optimized servers. What’s stopping you from speeding up your WordPress website with a CDN? Please share your thoughts in the comments below. A great write up Joe! Keep up the awesome content. Thanks a ton. I have been recently quite keen on setting up all my websites on CDN. This article is of great help. Thanks for this post! I’m looking for a CDN service that has an attractive pricing for really huge downloads (10 TB+ per month). Any ideas? Great thoughts. I will use it. Great job! Would love at some point to read an article about using AWS (Amazon Web Services) exclusively to host and distribute a WordPress website. It’s a bit complex but very cost effective for us developers and offers amazing scalability. Combinations of Cloudfront, EC2, S3 and their archiving solutions using Glacier. Is there a way to use Cloudflare when I have an SSL certificate from Hostgagtor? Yes, when you have a signed certificate on your origin server, the correct option in CloudFlare’s Crypto settings is “Full SSL (strict)”. Do any other CDNs cater to SSL usage? I’m sorry, I forgot to mention the free CloudFlare service. Do you know if there is a difference between SSL from Comodo or the free SLL from CloudFlare? I don’t sell anything from my site but I am only interested in SSL for the possible/eventual benefit with Google. I got the SSL certificate from Hostgator for free for one year and I thought I would switch to Let’s encrypt next year. If the free SSL from CloudFlare is just as good,it would be less expensive and probably easier to go that route rather than paying for SSL from Comodo and paying for CloudFlare. Relying entirely on CloudFlare for your certificate is a bit limiting, because one day you might want to stop using CloudFlare. If the cost of an SSL certificate is a barrier, you’re using the wrong host. Good hosts charge a nominal fee for a signed certificate from Comodo ($15/year is a benchmark for me) and better hosts offer free certificates from Let’s Encrypt. In both cases, installation should be easy and free. If I did want to switch away from CloudFlare, is that difficult? Part of the process of setting up a domain with CloudFlare is switching to their name servers. Switching away from CloudFlare is as easy as reverting this change, i.e. going back to your host’s name servers. Tried MaxCDN for a while but they have no protection against hotlinking and BW attacks and so my BW drained like 3TB in a half year period on 2000 UVs a day, so dropped them quickly after paying hundreds of dollars with little benefit. Plus their billing methods are non-sensical and not customer friendly. I know they’re the “go to” to WP users but they didn’t work for me, at all. Might try someone else now. Wow! This just came 1 day after I moved my sites to CloudFlare Free Plan. My main concern, after reading some posts is the SEO thing. What is the general consensus on SEO using a CDN ? You just want to make sure that everything is setup correctly, robots, canonical, and I recommend using custom subdomain such as cdn.domain.com. Only tends to improve its performance in Google’s rankings. Full Width Slider Background DO NOT load on CDN. Why? Which CDN are you thinking of going with? Apart from cloudfare is there any other free CDN. Jetpack Photo isn’t a full CDN, but it is free and can provide some of the benefits of a full CDN. Good info – thanks for the comparisons. Thank you so much for the article! It helped me a lot as I’ve been considering changing my CDN provider for a while. Microsoft Azure and Amazon cloudfront are tough ones for newbies but CloudFlare is the simplest and many WordPress hosting providers have a plugin to enable this from cPanel. I never heard about cdn.net, thanks Joe for making a list. My recommendation: KeyCDN – switched with all my websites from Amazon to KeyCDN. Why? Setup easy as pie, great documentation and really really fast! MaxCDN & CloudFlare are the best CDN services out there. Although many CDN services that you’ve mentioned here hasn’t been tried by me yet. I can see people are also recommending KeyCDN, which is a new service for me. Will give KeyCDN a try. I have tried MaxCDN, CDN77, and KeyCDN. I liked KeyCDN the best because of the price and setup. CDN77 requires you to put $149 or more in credits per year while KeyCDN lets you buy a minimum of $29. Five zones for $29/year is perfect for my needs. Most of the CDN services you mentioned in the post are new to me. Till now I have used only MaxCDN. Thanks for sharing the great list. I’ve tried many of these and have been most impressed with CloudFlare. Their free plan is more than enough for most websites and their included security is particularly good. I am personally using CloudFlare and it is working fine for me. Security feature is the main advantage of Cloudflare. I have always used maxcdn, but was forced to leave them because of thier “BAD” pricing model. They charge extra, I think $10 for every additional pull zone as they offer only one pull zones for starter account, keycdn charges $1 but they offer 5 pull zones for every account. They charge extra for ssl, when in todays world ssl is FREE. They charge a lot more for Asian regions as compared to keycdn and cdn77. So for starters, keycdn is the best bet but if you wanna see the magic of cdn then go and give a try to cloudfront. You will be amazed. Thanks for this great article. Your reader.